This map shows the (approximate) location of almost all of the ISS-Above devices that will be sent out to the Kickstarter Backers. 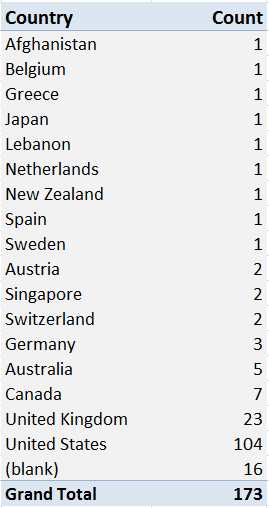 It also shows the location of the current beta testers . In total – very nearly 200 locations worldwide. ISS-Above devices in USA. Is there one in your State? The recent Kickstarter for ISS-Above has devices heading to 32 states across the USA. Is your State represented? 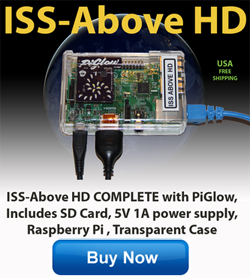 If not… you can still purchase one via the ISS-Above Kickstarter Grace Period Purchase option. ISS-Above worldwide reach – is your country represented? The recent Kickstarter for ISS-Above has devices heading to 17 countries around the world. Is your country represented? The furthest North is the one going to Sweden (Stockholm) which is at 59 degrees north. Now.. as the ISS orbits between 56 degrees north and south it will never be directly overhead for that device. But still… it will nevertheless be above their horizon very frequently and visible sometimes as well. I am still waiting to hear back from 16 backers with their shipping address details – so there may still be additional countries. ISS-Above devices in the UK. Is there going to be one in your county? 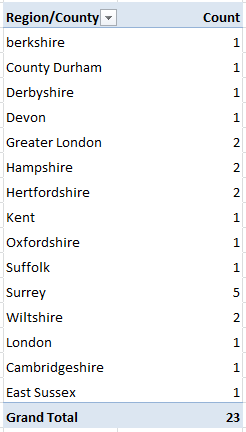 The recent Kickstarter for ISS-Above has devices heading to 15 counties across the UK. Is your County represented?